It’s not another diet. In fact, it’s EXACTLY the opposite! deprived—but you CAN finally start losing weight. What’s the secret? Our seven exclusive containers. and pre-measured for the precise portion. again—if it fits in the container, you can eat it! workout a day. That’s all. It’s that simple! the intensity without losing the benefits. Forget about counting, cups, and calories. When it comes to losing weight, simplicity equals success. These seven colour-coded containers and Shakeology® shaker cup deliver exactly the right portions every time, so you never eat too much (or too little). Fill them up as directed in the Eating Plan—and you will lose the weight! program materials are English only. Weight loss guaranteed or your money back (less s&h). †Results vary. 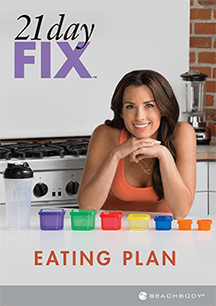 Exercise and proper diet like the one recommended in the 21 Day Fix program are necessary to achieve and maintain weight loss and muscle definition. *30-Day Money-Back Guarantee. If you're not satisfied with your results within 30 days, simply call Customer Service for a Return Authorization number to return the program for a full refund of the purchase price, less shipping and handling—no questions asked. © 2015 Beachbody, LLC. All rights reserved. Distributed by Team Beachbody Canada, LP c/o Beachbody, LLC. 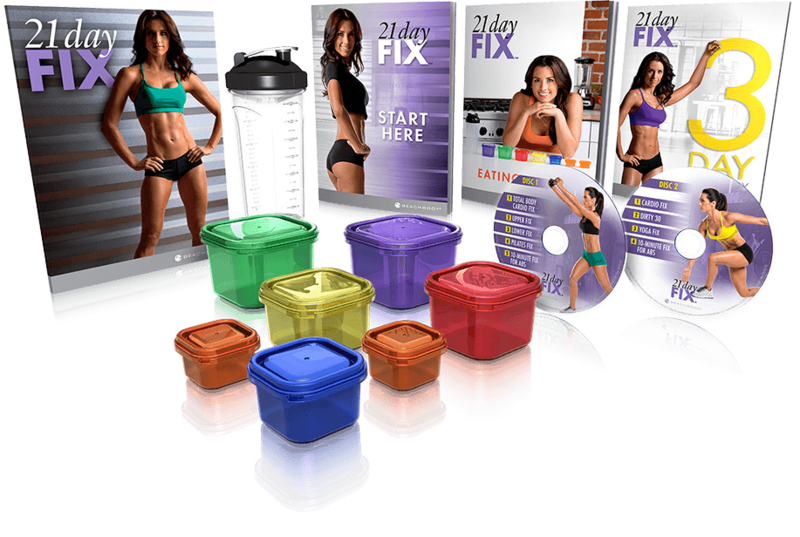 Beachbody, LLC is the owner of the 21 Day Fix, Shakeology, Beachbody, and Team Beachbody trademarks, and all related designs, trademarks, copyrights, and other intellectual property.